Putin’s Russia and Chasm. | Think the Unthinkable Future. 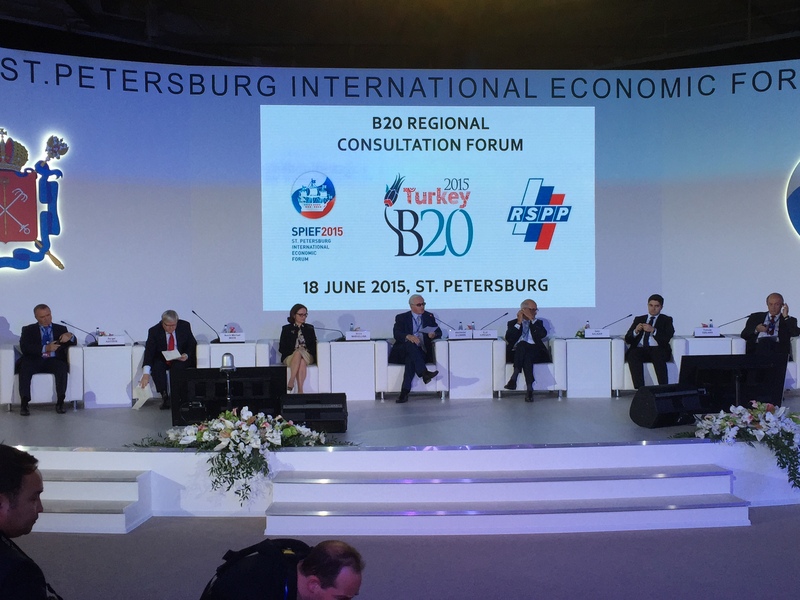 Just before departure from St. Petersburg, where I attended this year’s SPIEF, super-mega conference originally produced by Vladmir Putin, I’m about to write down honestly what I felt in Lenexpo. 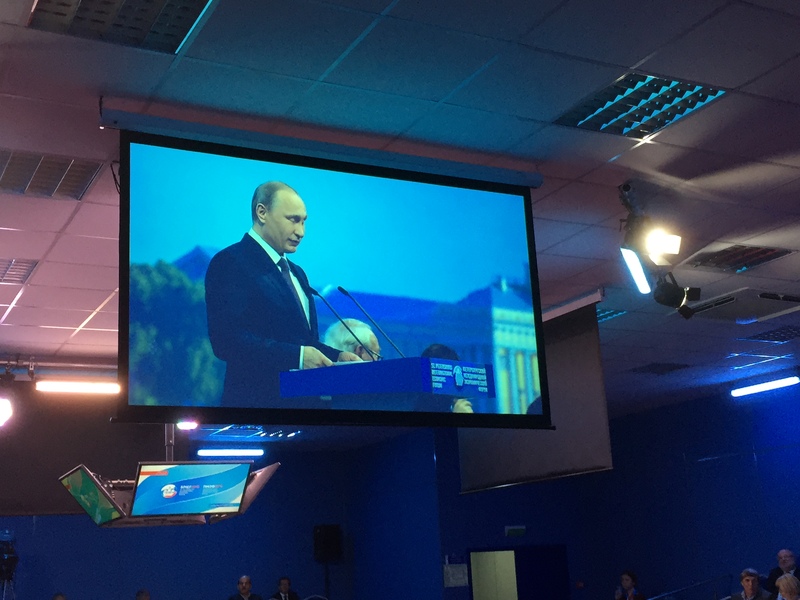 For me, it was most striking to hear Putin’s message in the plenary session as follows: “I don’t like to hear you’re saying, “Russia is aggressive”. No, we’re just persistent.” It was really a short expression, but reflects exactly what I’m feeling here in St Petersburg. In Russia, every single social order is inverted as it has always been so in the communism. What “aggression” from the western viewpoint is, is expressed as “persistent effort for peaceful solution.” Here, you have to make use of another language which is quite inverted to the one you’ve learned and practiced in the western world. Despite of a series of Russian attempts for pseud-democracy and capitalism, you can never find any signals of diversity. Russia is Russia, and belongs to the Russian forever. Aliens are welcome as long as they accept the local strict rules. In this regard, Russia has never been changed since the Soviet period, I think. In the Soviet period, there was still a room for the western allies to criticize this kind of inverted social order. The people on the street, even in big cities such as St. Petersburg, were often forced to suffer from the failure of Soviet economy. Except for “red” elites, they were just extremely poor, nevertheless obliged to claim their nation “CCCP” was economically successful, which was never the case. Well, the Soviet Union was a kind of venture enterprise and needed firm integrity to get started from both political and economic ground zero. To do so, freedom on behalf of diversity was never accepted there. Recalling this truth of the former “CCCP”, I’m just remembering what I read recently. It was related to “Chasm”, pointed out by Geoffrey Moore. Every venture company is established by its charismatic founder’s strong leadership. To a certain extent, it remains successful. 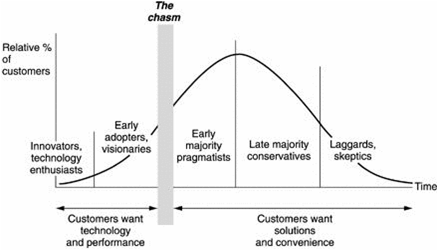 However, it is always lacks of essential and indispensable capacities to go beyond the “Chasm” between early and mainstream markets. What is it? To effectively draw attentions from pragmatists, or “mainstream”, and persuade them to buy products, the venture’s leadership has to be changed based on its mission and vision. That is to say, the leadership is to be impersonalized and head for diversity of opinions inside the house. At this juncture, the charismatic leader shall step back gradually and try to become from CEO to genuine owner entitled “founder”. As soon as he/she becomes capable of accepting this kind of diversity, the products per se start to increase versatility. That is quite appealing to pragmatists called “mainstream”, who can’t make their mind to buy something “cutting-edge”. Getting back to Putin’s presentation in SPIEF 2015 I heard yesterday, the same rule can be applied to make his venture project successful. Dear President Putin, don’t stick only to your self-made rules, as charismatic leaders always do so. Think western criticism vis-à-vis his venture to be the crossroad between “leadership transition” and “eternal failure”. Otherwise, Putin will soon face the “Chasm” of his venture called Russia. This is exactly what the western genuine leadership aims at, while western big corporates such as Japanese prominent companies suddenly attempt to rush for the Russian market. The moment of truth will come in 2018, when his presidential term will come to an end according to the current rule. At least for three years ahead, the Russian market is obviously flourishing more and more thanks to Putin’s charismatic leadership. However, never forget “Le Chatelier’s principle” and “Chasm”. Whether Putin will be able to accept “diversity” I mentioned, really matters. Because I’ve just grasped what would happen here in Russia, I feel my mission to anticipate the future is partly completed and believe this time is the last time to come here until the time after the “Chasm”. Good bye and…”До свидания”.